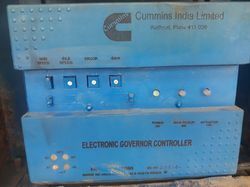 We are a leading Manufacturer of Genset Controllers such as Genset Control for Auto Start, Genset Control for Single Unit Operation, Genset Control for Multiple Unit Operation, Power Generation Controlling the Power of Energy, Circuit Breaker Control, Generator Protection Relay and many more items from India. Remotely control the generator set from inside your home. Standard key functions for Stop, Menu Navigation – Selection, Adjust, Save. 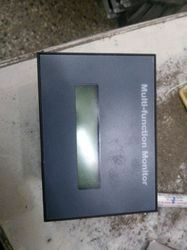 LED Indicators: Auto, Shutdown, Auto Start, Warning, Manual Run. In-Home Panel is a convenient option to the standard operator panel on the generator set. Standard Control to check status, adjust settings, start and stop the generator set. 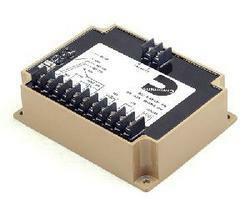 Kit includes the Power Command Controller HMI 211, Harness, and Instruction sheet. The Cummins Power Command Controller HMI 211 provides a convenient and robust alternative to the standard, generator-mounted HMI 211 operator panel. The Human Machine Interface (HMI211) multi-line display monitors and displays dynamic generator set performance information and performs essential standard control and configuration. 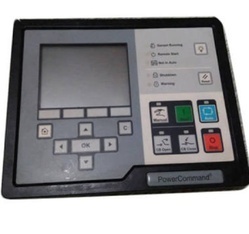 Power Command HMI211 uses the PCCNet networking protocol to gather and display information including AC Volts, Current Power, Power Factor, Frequency, and Engine information via the intuitive menu system. Simple installation and operation using the included wiring harness provide the capability to install the HMI 211 Power Command up to 4000 feet away from the generator (distances exceeding 500 feet require an additional 12 or 24 VDC power supply with 3 Amp overcurrent protection). Installation requires 22-AWG Twisted Pair for the PCC1302 to the included Harness for the PowerCommand HMI211 Generator Control Accessory. The wiring and harness connect the PCC1302 to the Power Command Generator Controller – see the Power Command HMI211 Wiring Diagram in the instructions sheet. 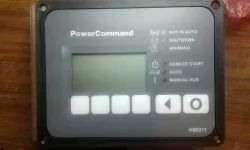 The Cummins HMI 211 Connect Series Accessory Remote Display Panel provides many of the same functions and control as the standard operator panel (Power Command HMI211) mounted on the standard power generator set. Looking for Generator controllers and panels ?